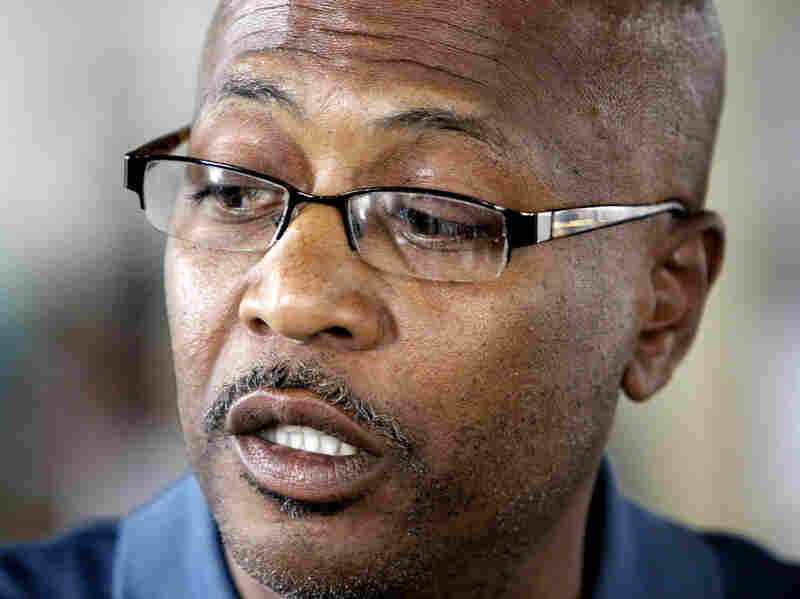 Man Wrongly Convicted: Are Prosecutors Liable? When prosecutors violate the law to deprive a person of a fair trial, is vindication enough, or should the prosecutors be held liable for damages? This week, a bitterly divided U.S. Supreme Court all but closed the door to such lawsuits. Man Wrongly Convicted: Are Prosecutors Liable? John Thompson spent 18 years in prison for a crime he did not commit. This week, the Supreme Court overturned a $14 million award he had gotten after suing New Orleans prosecutors. When prosecutors violate the law to deprive a person of a fair trial, is vindication enough, or should the prosecutors be held liable for damages? This week, a bitterly divided U.S. Supreme Court all but closed the door to such lawsuits. The 5-4 ruling came in the case of a New Orleans man who served 18 years in prison for a crime he did not commit. In December of 1984, Raymond Liuzza Jr., the son of a prominent New Orleans business executive, was shot to death in front of his home. Police, acting on a tip, picked up two men, Kevin Freeman and John Thompson. Thompson denied knowing anything about the shooting, but Freeman, in exchange for a one-year prison sentence, agreed to testify that he saw Thompson commit the crime. Prosecutors wanted to seek the death penalty, but Thompson had no record of violent felonies. Then, a citizen saw his photo in the newspaper and implicated him in an attempted carjacking — and prosecutors saw a way to solve their problem. John Hollway, who wrote a book about the case, said the solution was to try the carjacking case first. A conviction in the carjacking case would yield additional benefits in the subsequent murder trial, Hollway observes. It would discredit Thompson if he took the stand in his own defense at the murder trial, so he didn't. And the carjacking would be used against him during the punishment phase of the murder trial. It all worked like a charm. Thompson was convicted of both crimes and sentenced to death for murder. Several years later, four young lawyers at the silk-stocking firm of Morgan Lewis in Philadelphia took on Thompson's case pro bono. But after 10 years and thousands of hours of work, they lost all their appeals, including one at the U.S. Supreme Court. Two of the lawyers, Michael Banks and Gordon Cooney, flew to Louisiana. "We were literally on our way from telling John that we had failed him as his lawyers and that he was going to die," Banks says. "And we were on our way to tell his mother and his 17-year-old son that they should start planning for the execution." Banks was driving while his co-counsel checked their office voice mail and learned some astonishing news: Their investigator had unearthed, in microfiche files, a lab report to prosecutors in the carjacking. A swatch of fabric stained with the carjacker's blood had been tested and never produced to the defense. "It is an 'oh my God' moment," Banks says. He says that single discovery would unravel both cases. "We still did not have evidence of Thompson's innocence, but now we knew the DAs had played very, very dirty pool, and we were determined to see if there was other evidence that we could get," he says. Further testing would show that the carjacker's blood was Type B; Thompson's was Type O. And, it turned out, one of the prosecutors had years earlier made a deathbed confession to a colleague that he had hidden the blood report from the defense. That confession, too, was kept secret. All of this would eventually lead to reversal for both convictions, and a new trial on the murder charge. At that trial, yet more evidence would be uncovered and presented to the jury. Previously undisclosed police reports showed witnesses at the crime scene had described the shooter as 6 feet tall with close-cropped hair. Thompson was 5-feet, 8-inches tall with a huge Afro. The description, in fact, fit not Thompson, but Freeman, the man who had made the deal to testify against Thompson. In all, there would be 10 pieces of exculpatory evidence that prosecutors failed to turn over to the defense at the first murder trial. At the second trial, a jury acquitted Thompson after just 35 minutes of deliberation. Thompson then sued New Orleans District Attorney Harry Connick and his office for failure to train prosecutors about their obligation to turn over such evidence to the defense. Connick's office had previously been chastised by the Supreme Court for similar failures. A jury awarded Thompson $14 million in damages. But this week, the U.S. Supreme Court overturned that award. Justice Clarence Thomas, writing for the five-justice majority, said there was no proof of a pattern of indifference in the DA's office and that prosecutors, unlike police, do not need special training in such matters because they learn the rules in law school. Justice Ruth Bader Ginsburg took the unusual step of reading her dissent from the bench to underscore her view that the "deliberately indifferent attitude" in the DA's office had created a "tinderbox," where miscarriages of justice were inevitable. Many saw her dissent as a call to Congress to change the law. Thompson insists he's not bitter, saying he can't miss money he never had, but he says he is worried about accountability for prosecutors. "I'm disappointed that from the Supreme Court ruling ... I didn't make things better. I might have made things worser," he says. "It made them really think they got permission to kill now without being held accountable. That is what's scary." Connick, the district attorney, feels vindicated by the high court ruling. "I think that he committed ... a murder, and I think that obviously we thought we had enough evidence to gain a conviction," he says. "So I was delighted that the Supreme Court ruled in our favor."